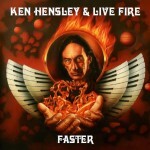 «Faster» was recorded by Ken Hensley and the Norwegian band Live Fire. Recording sessions took place in September 2010 in Riga at Sound Division Studios, and mixing was done at Sacramento Studios. The album was released on May 20, 2011 by Ear Music. Eirikur Hauksson, Live Fire’s lead singer, performed lead vocals on 9 of 12 tracks. Ken sings five songs («The Curse», «Slipping Away», «Beyond The Stars», «The Last Minute» and «Somewhere»). Live version of «Circle Of Hands», featuring The Norwegian Symphony Orchestra, was added to the album as a bonus track. 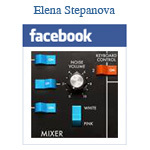 Mastering — Metropolis Studios, London, England.